We rented bikes to get around town and to get a feel for the layout of the city. 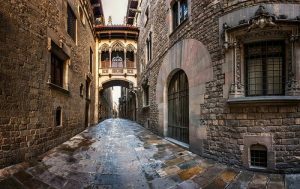 As well as being pedestrian friendly, Barcelona is a great bike city with bike-specific paths leading to pretty much anywhere you need to go.We began our journey in Barcelona’s historic center – the Gothic quarter. We wandered through the cobbled lanes and beautifully restored buildings. To avoid the crowds we went in the springtime and our timing was perfect. 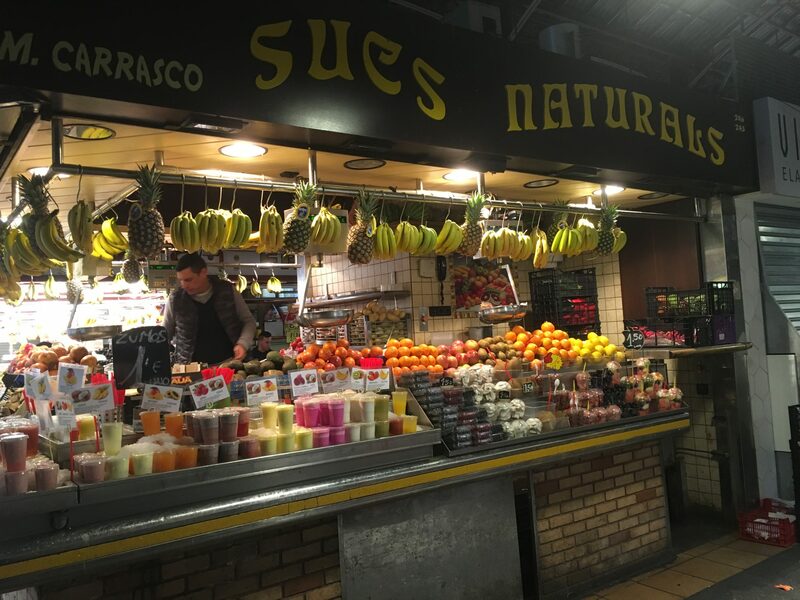 Even when we stopped at the larger tourist attractions such as Gaudi’s towering Sagrada Familia church and the bustling La Boqueria market, we did not find long lines or masses of people. This is the way we like to travel. Avoid the lines and the crowds all while enjoying the local feel and soaking up the culture. Antoni Gaudi’s masterpiece, The Sagrada Familia, Expiatory Temple of the Holy Family, is an amazing thing to see. It has been under constant construction since 1882, both a restoration and continuation of the vision of Gaudi. 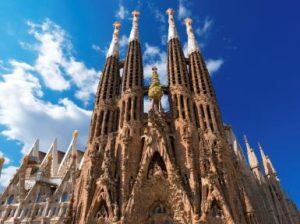 Though Gaudi’s works can be seen all over Barcelona, la Sagrada Familia is worth putting on the must visit list. There is a tremendous history to this place. When in Barcelona do go by and check it out. There is no other church like it in the world. One of the things we love to do when we travel is eat. 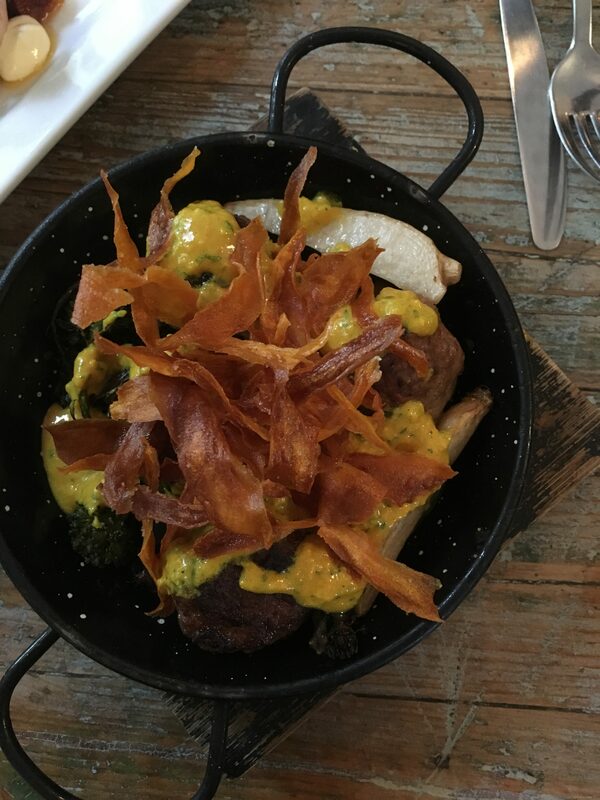 We eat where the locals do,preferably in smaller, out of the way places. We avoid tourist traps and tourist prices. Barcelona did not disappoint. Friends had given us food recommendations to try. And try we did. Now dubbed as the “tapas crawl” we visited at least 6 different tapas bars in one night. Each one, though very different in location, menu offerings, and atmosphere, had great food and a fun vibe. While strolling from place to place to eat we found it very easy to get around. Barcelona is a very walkable city. We could stroll through the differernt neighborhoods first hand and get a feel for the local markets and shops. Of course a stop at the open air market of La Boqueria is a must. You will find fruit stands, sweets, tapas, cheese, and of course meat vendors. Everything is lined up all pretty and all the things we tried were super fresh and tasty. As mentioned before bikes are great to get around, but if that isn’t your thing walking is a great way to see things you might not if you were in a bus. Also, the metro runs throughout the city taking you close to major points of interest. We found the metro to be clean and easy to navigate. We did do more than eat of course. 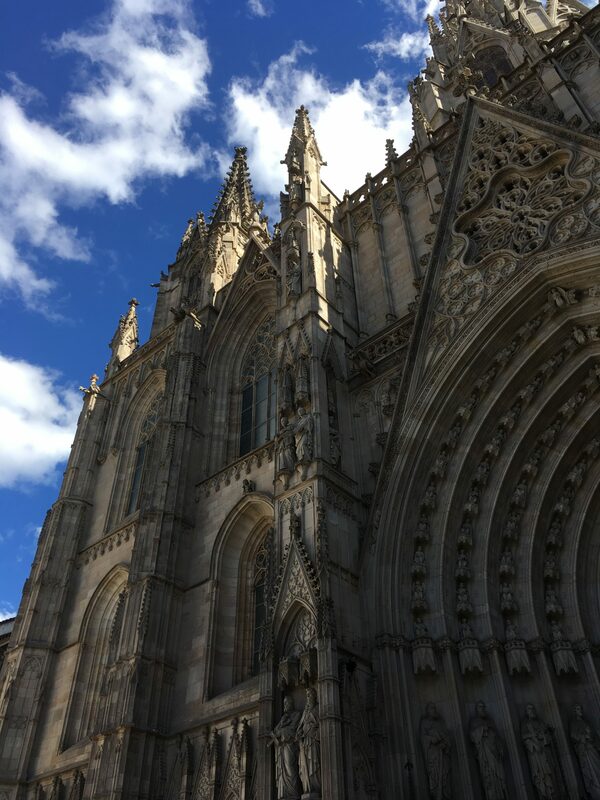 While walking through the Gothic neighborhood you can’t miss the Cathedral of Barcelona, with its amazing Gothic facade. Busy season or not there are usually a lot of people in front taking pictures but they move out pretty quickly. We were lucky enough to be in Barcelona two weeks in a row on two different trips, both including a Thursday which is the day of the antique market. The antique market is small but has some very cool items. Vendors have vintage barware, jewelry, watches and of course knick knacks. It is open Thursday from 10.00 to 21.00, closed December when there is a Christmas market and closed for 3 to 4 weeks in August. After our three days in Barcelona we traveled to the sweet little town of Calella de Palafrugell on the Costa Brava. The drive was just under 2 hours with no traffic and scenic countryside. From here we found some amazing hiking that can take you for miles in both directions depending on how far you want to go. This is the setting for our upcoming Blue Walk tours. Beautiful sea views, great temperature, scenic walks both along the water and through the woods, it is an idea place to unwind and explore. We visited some nearby towns both on the coast and off and found many cafes, restaurants and shops with local artisans. Each town has its own charm and warm feeling. 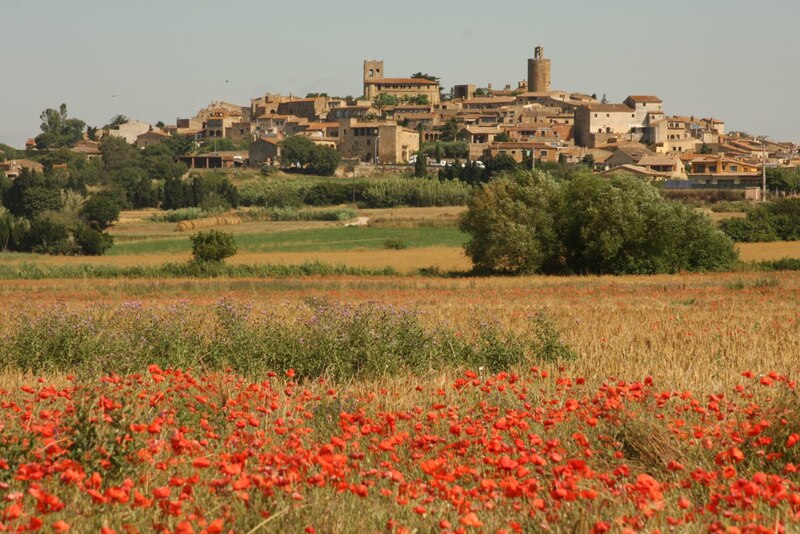 This is the Catalonia region and though we are in Spain and Spanish is spoken, Catalan is the main language here. 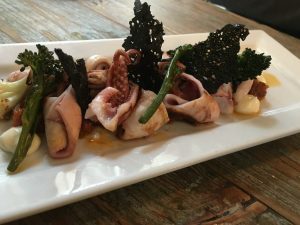 Restaurants serve traditional Catalan dishes and the people feel strongly about their heritage. Everyone we met was very friendly and helpful when we had questions. While exploring the inland towns we learned of walking paths between them that will lead you back to the coast. 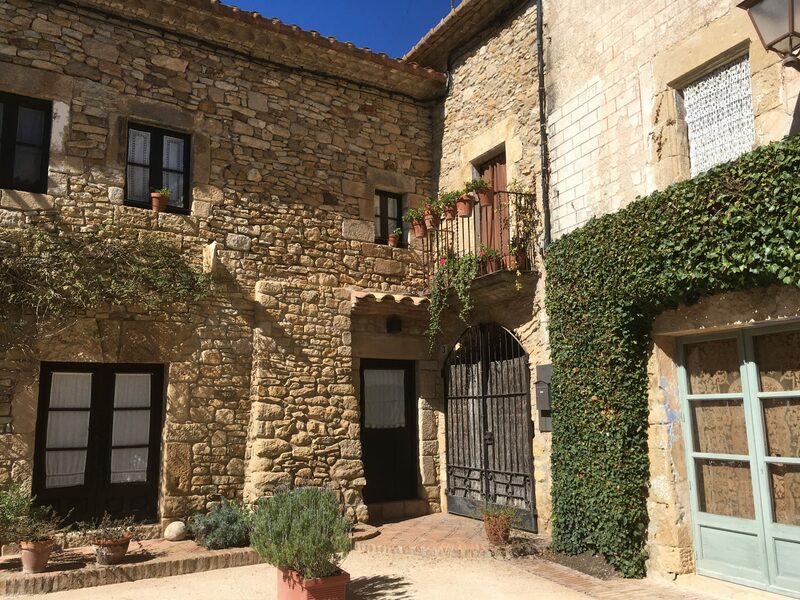 These mostly flat walks are through scenic landscapes that bring you to the next small village to stop for a snack, gelato, lunch or an adult beverage or two. Each one offers its own unique view of the area and has a welcoming bench to take in the views. Close up or far away these little towns are charming, clean and filled with friendly merchants and locals. We are excited to begin our Spain tours in 2019 and visit these towns again. No matter which direction you look when standing on the coast the view is amazing. From the cypress trees on the cliffs, to the deep blue water, to the private coves and beaches. 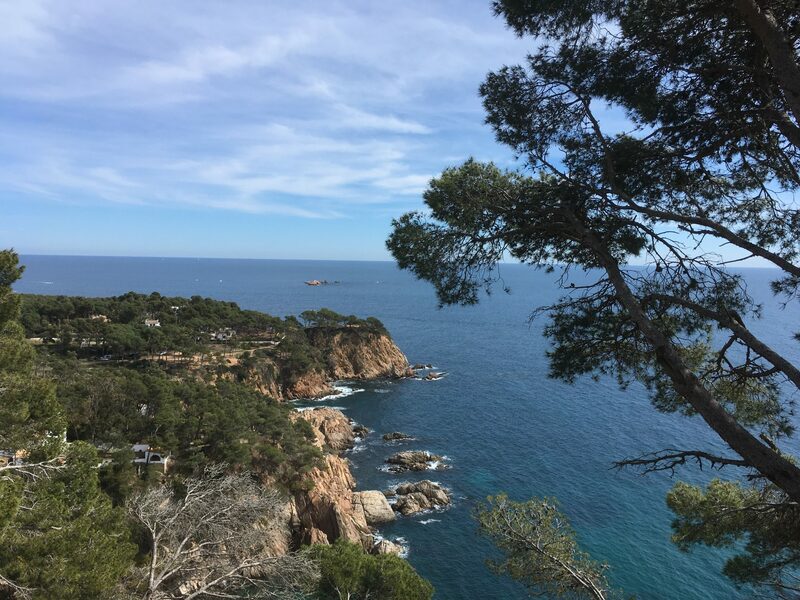 All of these things make the Costa Brava beautiful and a perfect place to spend a week exploring and relaxing. Ready to see more? 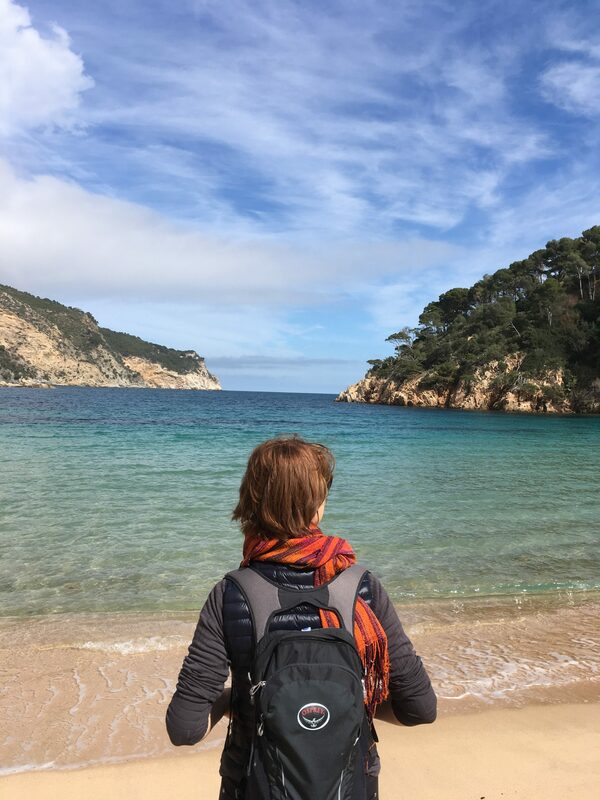 Join us in 2019 for a Blue Walk Spain tour and we will show you all of these places and more. 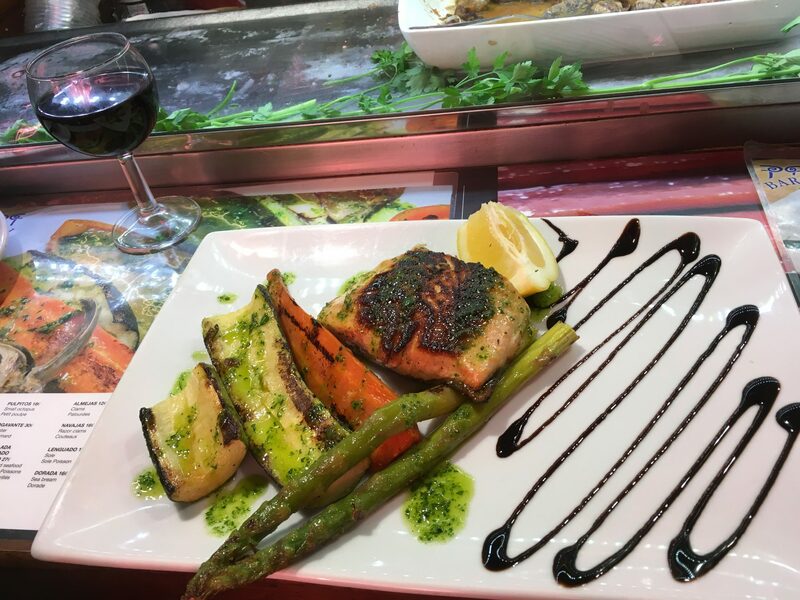 The food and culture of Barcelona. 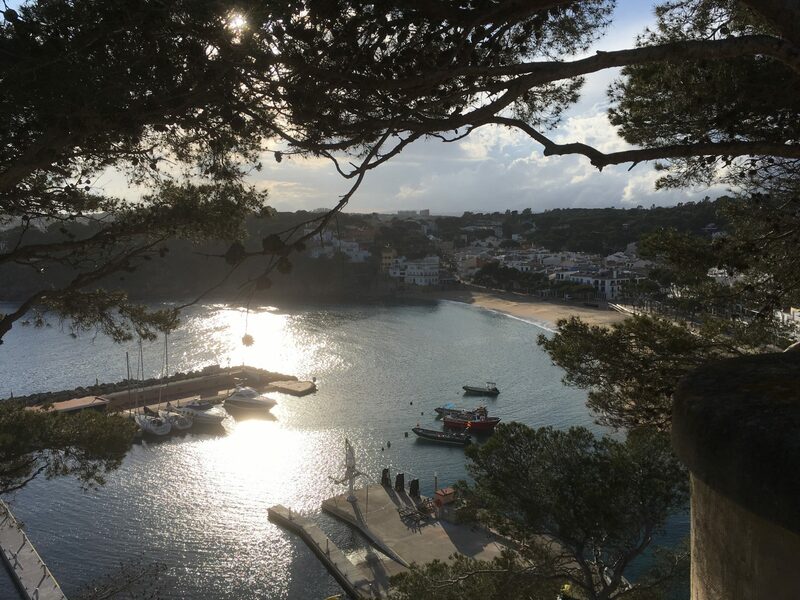 The charm of Calella de Palafrugell and surrounding areas. 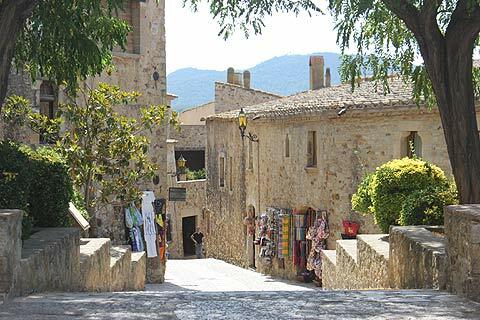 The peaceful walks along the Costa Brava. Dust off your passports and get ready to Travel at the Speed of you.